Your weekend/week just got a whole lot sweeter, because Instagram's @kcplates is breaking down Kansas City's most 'grammable desserts. First up, the DoNado: this Hungarian specialty can be found in Westport. 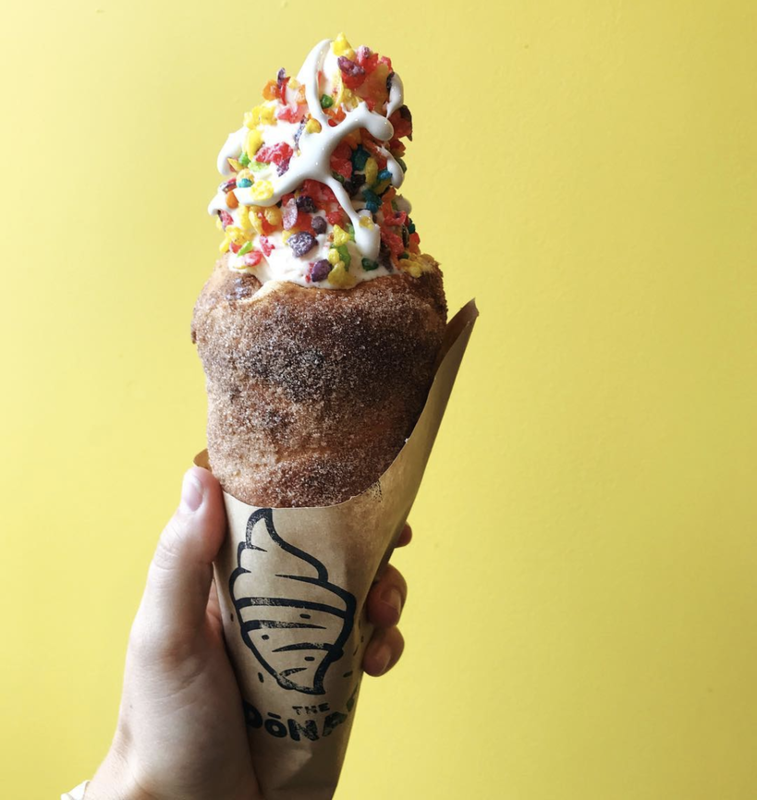 Made of twisted dough and coated with cinnamon sugar, this cone is cooked to perfection and filled with vanilla soft serve. Top it all off with anything from pop rocks to bacon and a drizzle of marshmallow. If you haven't been to Betty Rae's ice cream in Waldo, you haven't been living. Betty Rae's is scooping delicious flavors in their house made waffle cones. Can’t make a decision with all these decadent flavors? Then don’t. Betty Rae’s incredible cones can fit three scoops! Waffles anyone? The first bite is crispy, then melts in your mouth. Fill your waffle with a scoop of ice cream, pick three toppings, a drizzle and finally a snap photo. If you ordered a bubble waffle but didn't gram it, did you even order a bubble waffle? Also not pictured, but too incredible to be excluded, the Waffle Pop + Waffle Donut. Thanks to Freezing Moo, rolled ice cream, a popular treat in Thailand, made its way to KC last year. It's made by pouring liquid cream onto sub-zero pans, mixing in some toppings while it begins to freeze, and then scraped into rolls. It's a mesmerizing process to watch and tastes just as good as it looks on your Instagram feed. This doughnut shop is more than just a breakfast stop. Offering late hours and a selection of doughnuts, like the s'mores topped with a toasted marshmallow and, my ultimate favorite, the Oreo stuffed. This gem is here for you with delectable flavors, whatever time of day your doughnut craving hits. You're bound to come across this place on everyone's Instagram feed. Now go satisfy your sweet tooth!